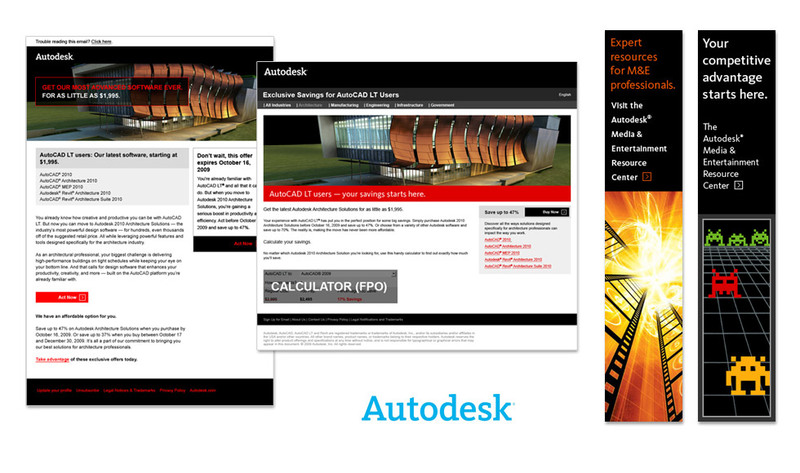 Display banner ads, emails, and landing pages created for Autodesk’s Partner Express support program. Authorized Resellers could launch their own marketing campaigns and promotions by customizing an array of branded components. Art direction and visual design, Flash programming.